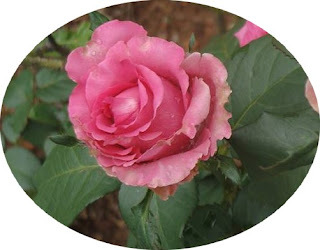 "Sampath Speaking" - the thoughts of an Insurer from Thiruvallikkeni: flowers that will not wilt ~ lasting long .. possible !! Monsanto is patenting !!! flowers that will not wilt ~ lasting long .. possible !! Monsanto is patenting !!! பூக்கள் அழகானவை; நறுமணம் தர வல்லன ! மல்லிகை, முல்லை, செண்பகம், தாமரை,மகிழம், ரோஜா, அல்லி மற்றும் விருச்சி, செங்காந்தள்; ஆம்பல்; அனிச்சம் ; குறிஞ்சி ;வாகை; வகுளம் ; கோங்கம்; என எவ்வளவோ நறுமலர்கள் உள்ளன. MailOnline reports that Monsanto, a US biotech company, patented new product earlier this year. Monsanto has patented a product that will stop flowers wilting by altering their DNA. The agricultural biotech firm, are using reverse genetic engineering to stop the natural destruction of cells that occurs once a plant is cut and extend their lifespan. The product reportedly muffles the plant's DNA and stops the production of ethylene gas, which ripens fruits and rots petals. The patent document talks specifically about roses, petunias and carnations, which could be an enormous boost for florists by dramatically reducing the significant waste in the industry. It will also be welcome news for flower enthusiasts all over the world, who will see the blooms poking from vases on table tops and windowsills stay fresh and colourful for longer. According to the patent filed with the US Patent and Trademark Office, the product, called RNA, can be fed into flowers through the water in the vase. It then gets into the plant's DNA and strangles the EIN2 gene, which would otherwise trigger the production of ethylene. RNA interference is a natural process cells use to turn down, or surpress the activity of specific genes. Today, research for the use of RNAi in agriculture spans a variety of areas; including traditional areas of plant protection from weeds and bugs to novel new approaches to increasing yields. While research continues, uses so far in plants include the development of allergy-free peanuts and decaffeinated coffee beans. In flowers, it is a form of genetic modification, but the changes made to a plant's DNA are temporary, so it avoids criticism directed at other products, which could lead to unexpected problems in the future. Monsanto's work in genetic modification has been incredibly controversial after documentary Food Inc highlighted the potential pitfalls it could create. Last month, thousands of protesters marched all over the world - from Switzerland to Brazil - to demonstrate against its genetic engineering and the pesticides it makes. .. .. well, that is the news from Western World. If our memory serves right a few years ago around 2010, Bacillus Thuringiensis was daily news – so also was Monsanto. If you have forgotten, Bacillus Thuringiensis Brinjal, popularly known as Bt brinjal, was at the centre of controversy in India. The egg plant, aubergine, melongene, brinjal or guinea squash is plant of the family Solanaceae. Technically, Bacillus thuringiensis (or Bt) is a Gram-positive, soil-dwelling bacterium, commonly used as a biological alternative to a pesticide; alternatively, the Cry toxin may be extracted and used as a pesticide. Through genetic engineering, scientists introduced the gene responsible for making the toxin into a range of crops, including cotton. The term BT expressed the qualities of the insecticidal gene throughout the growing cycle of the plant. Just like Bt cotton, Bt brinjal is a suite of transgenic brinjals (eggplant or aubergine) created by inserting a crystal gene (Cry1Ac) from the soil bacterium Bacillus thuringiensis into the genome of various brinjal cultivars. The insertion of the gene, along with other genetic elements would give resistance against lepidopteron insects, in particular the Brinjal Fruit and Shoot Borer. Monsanto is a US based multinational agricultural biotechnology corporation. It is leading producer of herbicide glyphosate as also genetically engineered seed. In olden days, the farmer would keep a part of his produce as seed for the next crop. This was fraught with problems of storage and maintaining class. Obviously every one would like to improve the yield and get more out of the crops. Monsanto claims that its only business is agriculture and does research to create the best seeds for the farmers. It supplies – alfalfa, canola, corn, cotton, sorghum, soyabeans, sugarbeets and wheat. It spread its shop on the traditional farmers of India. One can never be sure of the ways of Indian’s politicians and their support. There were some supporting and years later came the imposition of a moratorium on the commercialization of genetically modified brinjal by the ministry of environment and forests.